Some of the most common pest calls we get here in Florida are for ants, cockroaches, and termites. Most insects seek refuge in Florida homes for the exact same reasons as humans, to avoid the extreme heat. Many species of insects do not thrive well in extreme temperatures, and your AC filled home provides the perfect place for them to hide from the Florida heat. Much like you, they enjoy retiring to a nice cool space after being out in the hot sun. Having a pest in your house is very common and nothing to be embarrassed about, our team will be there to walk you through every step of the process and keep you feeling as comfortable as possible. Everyone on our staff is equipped with the experience and top-notch training in order to answer all of your questions during the process. Pest issues can feel like they take forever to eliminate, and it can be a very frustrating time for you and your family. We will work hard to ensure that your problem is taken care of quickly so that you can go back to living your normal life as soon as possible. No matter what pest issue you are having, we have a plan to fit your needs. With insects such as ants, they will often start in your yard and work their way into your home. There are many different types of ants, all of which can be a nuisance to have inside of your house. Often, you can find the ant hills out in the yard before you will notice ants marching through your kitchen. 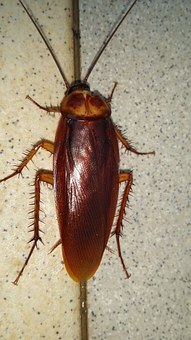 Cockroaches are also commonly found in Florida homes, as they typically are seeking cooler atmospheres and a constant water source. Most cockroaches can survive exclusively water, meaning that they love all of the drippy faucets in your home. Termites can be a bit more difficult to identify, as they can be mistaken for carpenter ants, and the longer that they go unnoticed the more damage they can end up doing to your home. The key to solving your pest solution is to get as ahead of the issue as possible, this starts with identifying the specific pest you are dealing with. With so many pests to identify, each needing a special treatment to control the population you want to make sure that you are using a company that you can trust. Centurian Pest can help you to identify your pest and will come up with the best solution to getting rid of them. We have A ratings for our pest control services, meaning that we have been recognized as top experts in pest control in the state of Florida. Many people will try to solve a pest issue on their own in order to save money. This can end up coming back to bite you in the wallet later if the pests happen to cause any structural or plumbing issues. 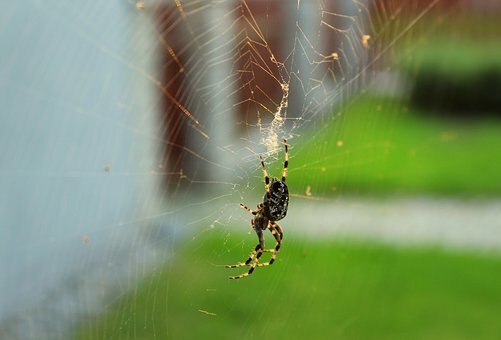 It is important to have a professional assisting you with your pest issues to ensure that the pest is properly identified and removed without causing any unneeded damage to your home in the process. This is especially important when it comes to pests such as termites, identifying them early can prevent major structural damage to your home. Centurian Pest has plans starting at $29.95 to fit your budget, while also providing you with the knowledge that you are getting top-rated professional assistance. Pest Experts Inc. also gives you the added peace of mind of knowing that if we can’t solve your problem, we have a money back guarantee. Meaning that you can put your trust in us to take care of your pest problem, and not breaking your bank. It is important to trust your pest control company since they are helping you to protect your home. Our staff is friendly and ready to help protect your home from any unwanted guests. You should enjoy living in the Sunshine State, and we’re here to make sure that it stays that way.